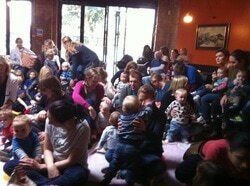 Rhythm 'n Babes - Fun pre-school music classes with live instruments based in Tooting, South London. Last Saturday Singing class before the Easter break is 30th March. Classes only £6 drop-in and £9 for two siblings. Card reader £6.12 or £9.18 (as they charge me to use it). Next to Tooting overground railway station. ​Stay and have a coffee or lunch afterwards at this lovely, friendly pub. On Tooting Broadway next to McDonalds. Parking available in Sainsbury's. Stay and have coffee and brunch from 11am afterwards. Zoom, zoom zoom to the moon! Shake, sing, wiggle, meet Chirpy the chicken and friends, dance, and pop the bubbles. 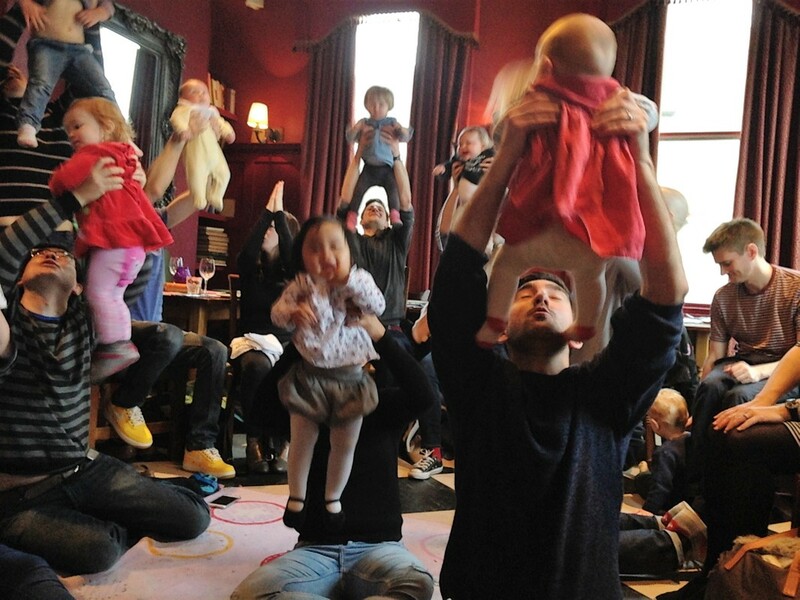 A stimulating and fun 45 mins of musical variety that your little one (and you) will love. Our fun & lively music classes are for pre-schoolers and their parents/carers based in Tooting, south London SW17. Led by Sally Duncan, an experienced workshop leader and musician. She is passionate about getting everyone singing together. She uses 'live' instruments (guitar and accordion) and no backing tracks, as it's important for children to see music being created in front of them. There is something for everyone, and it doesn't matter how lively, quiet, shy or boisterous your little one is, they are certain to have lots of fun! It's wonderful to see each child develop over the course of the term. We think that using live instruments and not a backing CD is best and the children love to see them in action. Sally plays guitar and accordion in the classes and the children often sit there open-mouthed and completely absorbed. Everyone can join in with a choice of percussion instruments. For children from zero to pre-school 3/4yrs. Most classes are mixed in age so siblings can play together. We find that the littler ones learn from the older ones. Children love to explore music for themselves as they sing and dance along. A group setting increases their enjoyment and involvement in the music, and it is such a great way to learn. Even young babes will enjoy the experience. You are your child's first music teacher so singing and dancing together is very important - and great fun too! Music has many benefits - social skills, language development, self-expression and the emotional bonding through the joy of making music together. Our classes support the learning goals of the Early Years Foundation Stage framework. 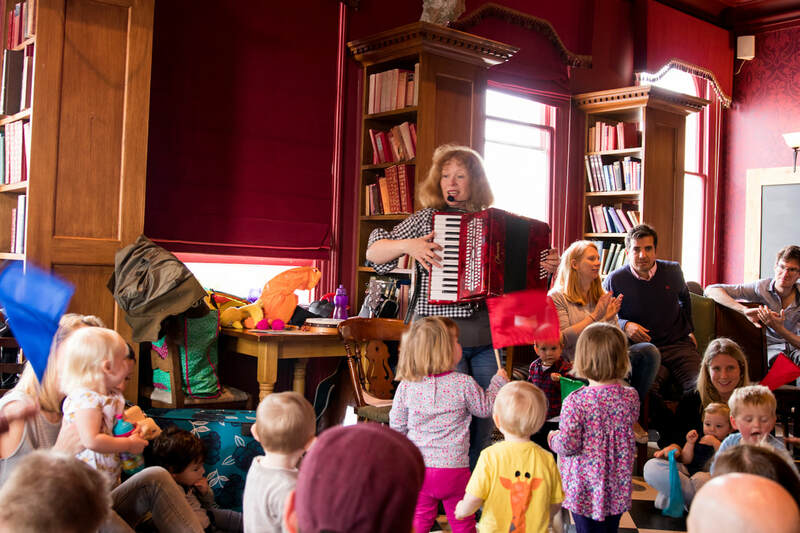 A mother of two children, Sally did a degree in music performance at the Royal Scottish Academy of Music and Drama studying piano, and she plays accordion and guitar in the classes. She has been a professional musician for a number of years. She is passionate about getting people singing together and directing choirs. She is currently also working for Wandsworth Schools Music Service in various children's centres and is Musical Director of the community choir Vocality Twickenham (www.vocalitysinging.co.uk ).